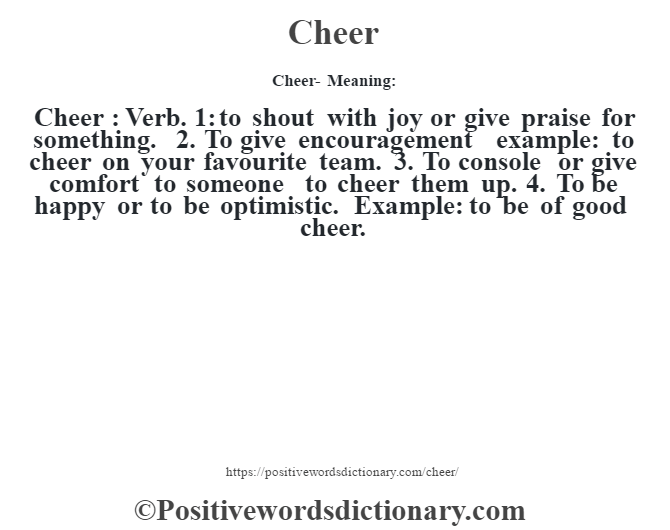 Cheer : Verb. 1: to shout with joy or give praise for something. 2. To give encouragement example: to cheer on your favourite team. 3. To console or give comfort to someone to cheer them up. 4. To be happy or to be optimistic. Example: to be of good cheer.